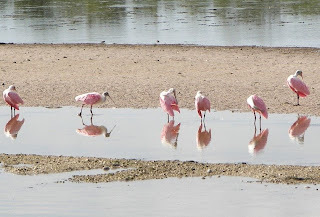 Yesterday we headed over to Sanibel Island (a barrier island in the Gulf of Mexico) and the Ding Darling National Wildlife Refuge. This is a "DON'T MISS" stop on any trip to Florida - even with the $6 fee to cross the causeway. 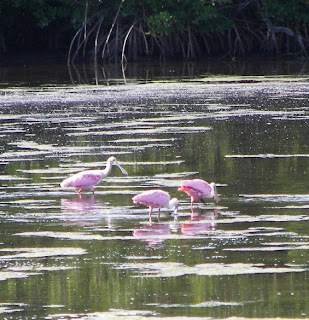 The 6,400 acre refuge is part of the largest undeveloped mangrove ecosystem in the United States and is world famous for its spectacular migratory bird populations. 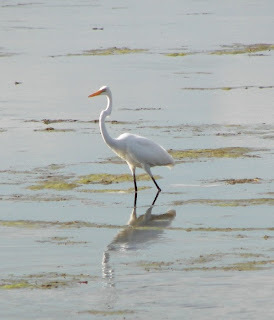 There are over 220 species of birds on Sanibel! 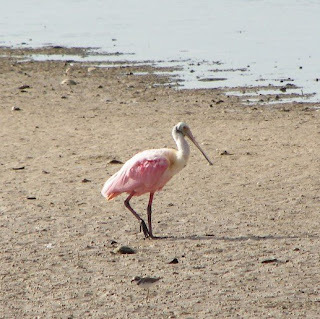 J. N. "Ding" Darling is one of over 540 refuges in the National Wildlife Refuge System - which means if you have a Golden Pass for National Parks - there is no entry fee. 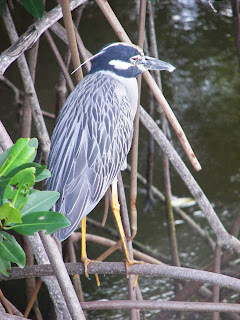 Bill spotted this Yellow-Crowned Night Heron at our first stop. 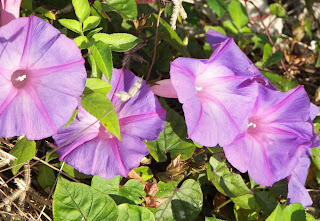 I couldn't resist taking a picture of these beautiful morning glories! 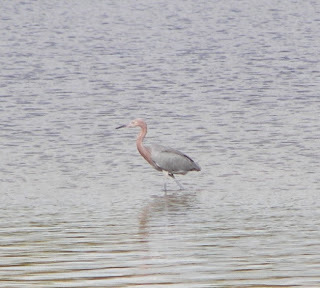 This is another Reddish Egret. 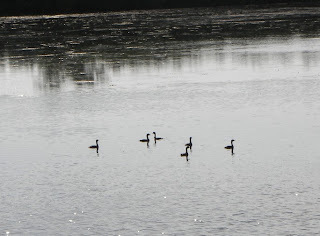 These are Cormorants swimming around in one of the estuaries, an area where salt water mixes with fresh water creating a habitat rich with vegetation and animal life. This is one of my favorite pictures. 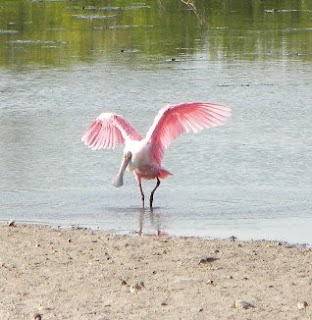 BUT - the most exquisite sighting for me were the Roseate Spoonbills. 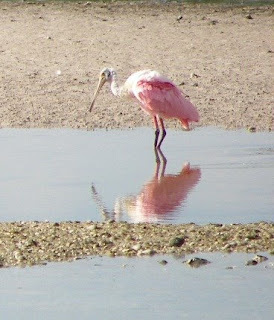 They are beautiful pink birds with spoon-shaped bills. I took so many pictures, the battery on my camera went dead - which means I didn't get any pictures of the white pelicans. Thank you Beth and Warren for taking us! I will definitely go back!